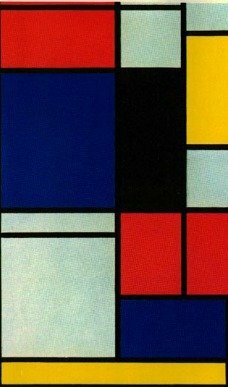 According to Wikipedia, Mondrian developed his grid-like abstract painting style in the 1930's. While they weren't patented, they were created prior (faaaar prior) to the Windows 8 phone. Prior art, people! * We're joking, of course, but it's a funny thing to think about. LOL, Patrick. Well then clearly you should sue, too. Let's all sue! John A, thank you for reminding me about Atari! Just got back from your video link john. Believe it or not, Atari still exists. I think it was bought by the same people who bought Microprose (Civilization, Sword of the Samurai etc.) and they rebranded themselves as Atari. Haha Steven, and I thought I came up with the design for that with paint, on windows 3.1 in the 90s (didn't we all do this?). No problems John. I'm sure we've all done it. I hope you're enjoying your nexus 7 as much as I am. sorry guys, new nexus 7 sent this a few times. off topic but here is a blast from the past :) Now that was a tablet.